Lori Loftus, varsity Unified Basketball coach and special education teacher at Winslow High School, is working towards becoming a Special Olympics Unified Champion School. Winslow High School participated in a ‘Fans in the Stands’ event which filled the gym with the Winslow Community to watch Winslow schools’ staff members play basketball against the Winslow High School Varsity Unified Team. 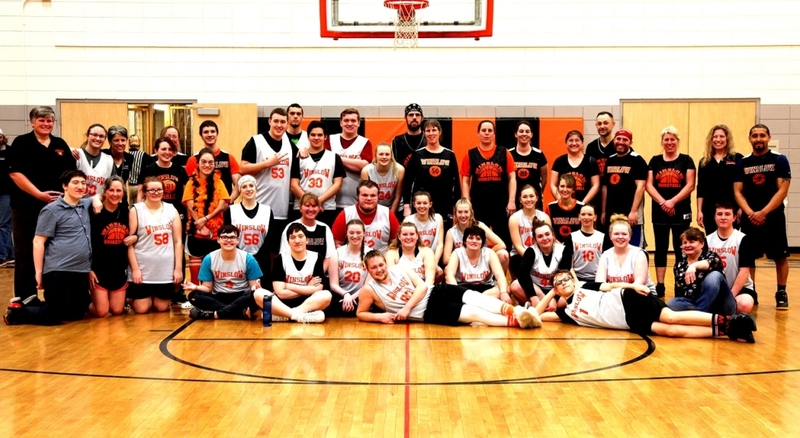 Earlier in the day, during the school’s winter carnival events, students and staff watched as the varsity girls and boys basketball teams took on the Winslow High School varsity Unified Team. The Unified team won both games.